Of the many draws of owning a condo over a house, is that the Home Owner’s Association takes care of the entirety of the condo’s exterior, including the roof and landscaping. Generally speaking, those exterior portions of the property are outside of the scope of a home inspection because the responsibility for their care falls to the Home Owner’s Association. Be aware though that windows and doors are still the responsibility of the condo owner. A good condo inspection should include every interior system inside the unit, including the electrical system, heating and air conditioning, and plumbing. A high quality home inspection company will also look in attic space (if they have access) to check out the level of insulation and to see if roof leaks or animals are living up there. They should provide you with a detailed report to aid you in making your final decision, anticipating cost of repairs/upcoming maintenance, and uncovering potential larger problems you could use to renegotiate the deal before close. 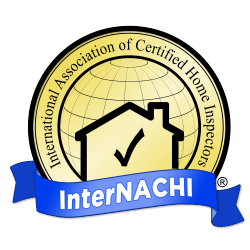 It is important to choose a thorough home inspector with attention to detail, proper qualifications, and plenty of experience in inspecting condos. The same issues found in standard homes are just as likely to plague your condo, so it’s very important to not skimp on your inspector of choice! Radon testing should still be done on a condo even if the condo is on slab. Radon gas does not care what type of building it is. Condo inspections are a little different than your standard home inspection, but in the end, a home inspection holds just as much importance in the home buying process for a condo as it does for a larger home. The importance of a home inspection cannot be emphasized enough; it will you give you the legal and finance security you need, as well as the peace of mind you deserve during this often nerve wracking life step! Make sure you make the right choice and choose a qualified home inspector with plenty of positive reviews to back them up.